Movie Monad? Another video player? Really? Movie Monad is a free and simple to use video player made with Haskell. Originally it was a proof of concept to add video playback to Gifcurry (another great app—check it out). Nowadays it's a lightweight yet mighty media player used all over the world everyday. Movie Monad is cross platform so you'll never have to compute without it. You can play files on your computer or stream videos from the web. Play, pause, seek, repeat, resize, expand, and turn it up—Movie Monad gets out of the way so you can watch the videos you love. 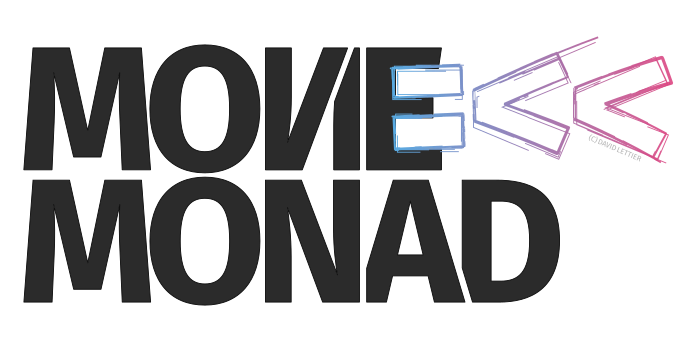 So put down your copy of mpv, VLC, or Elmedia and try out Movie Monad—it's FREE! What does Movie Monad look like? What can I do with Movie Monad? You can play video files from your hard drive or stream videos from the web. To play web videos, click the file open button, paste the URL into the text box, and click open. Movie Monad can handle file://, https://, and http://. You can play and pause. You can seek/scrub through the video. You can put the video on repeat. You can turn subtitles off or on and pick your language. You can turn up, turn down, or mute the volume. You can expand the video to fullscreen. You can quickly resize the video to standard sizes. You can resize the video to a custom size by resizing the window. Movie Monad will responsively adjust the video size to fill the window. You can play videos from the command line. How do I get a copy of Movie Monad? Movie Monad works on Linux, Mac, and most likely Windows. Make sure you have GStreamer and GTK+ installed on your machine. To find the latest version of Movie Monad, head over to the releases page. If you use Linux then the easiest way to grab a copy of Movie Monad is by downloading the AppImage. After you download the AppImage, right click on it, select permissions, and check the box near execute. With that out of the way—you're all set—just double click on the AppImage and Movie Monad will pop up. You can also download and install the AppImage using the handy AppImage install script (right click the link and select "Save link as..."). Download the script, right click on it, select permissions, check the box near execute, and double click on it. You should now see Movie Monad listed alongside your other installed programs. If you'd rather install Movie Monad via pacman then copy the following into your terminal. Movie Monad is available as a snap from Snapcraft. If you don't already have snap, go ahead and install it using the command sudo apt install snapd. You can install the Movie Monad snap right from your browser or via the command line. For the command line route, paste the following into your terminal. Mac users can download and run the Mac install script (hold down control, click the link, and select "Save Link As..."). After running the install script, a shortcut to Movie Monad will be on your desktop. If you develop Haskell programs then the easiest way to build Movie Monad is with Haskell Stack. Copy the following into your terminal. What dependencies does Movie Monad use?